Working as part of the project team, Turley has helped secure approval for proposals for phase 1 of a brand new £20.7m housing development for Skelmersdale, which includes affordable housing, from profit-for-purpose developer Laurus Homes. Part of THT and L&Q Developments LLP, Laurus Homes will offer 120 two, three and four bedroom homes at Whalleys Road, Whalleys South. 36 will be a mix of Shared Ownership and affordable rent and 84 will be for outright sale. 15 will also be adaptable homes for the elderly. 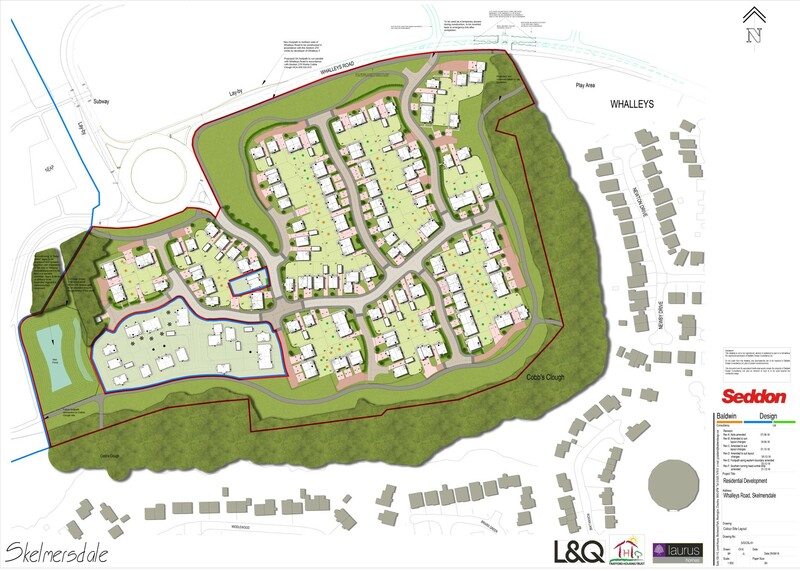 THT and L&Q Developments LLP won Homes England’s competitive tender for the development of the site, based on the north side of Skelmersdale, and has partnered with Seddon Construction on site construction. We acted as planning consultants alongside advising on strategic communications aspects of the proposals for phase 1, which is the first part of the overall £49m development, which will be for 299 homes in total. “The development of this site is key to the regeneration of Skelmersdale, improving housing choice in the area and wider economic growth ambitions for West Lancashire. The semi-rural site is adjacent to Parbold, Dalton and Newburgh and offers easy access to both Manchester and Liverpool city regions. The shortfall of housing in Skelmersdale has been identified as a potential cause of slow population growth over the past ten years, with affordability remaining a challenge for first time buyers.